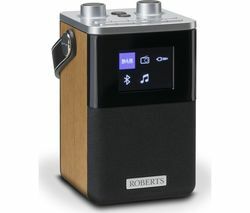 Roberts is a brand leader with a reputation for producing high-quality premium-brand radios. They have a huge range of DAB and analogue radios that are perfect for the home. Roberts leads the way when it comes to design and innovation. 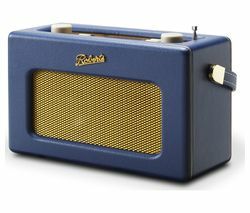 Roberts radios are uniquely styled and are ideal for the kitchen, bathroom or living room. 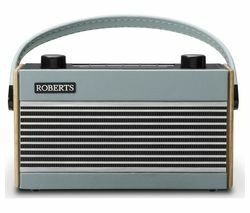 Each Roberts radio is compact and portable and will look great wherever you put it. If you choose a digital radio from Roberts you can expect to receive between 30 and 50 radio stations, which means you’ll never be stuck for something to listen to. 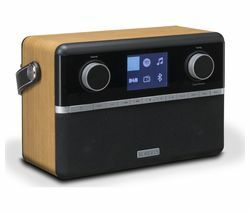 Roberts DAB radios never compromise on sound quality. The receiver is able to locate and lock onto the strongest signal while cutting out all other noise which means you won’t get the usual problems such as hiss and static associated with analogue radio. With a DAB radio you don’t need to waste time fine tuning for the perfect signal, you simply scroll through a list of radio stations and tune in at the touch of a button. Whether you’re looking for a radio to listen to while you work in the garage or for the kitchen when you’re baking, a Roberts radio is just the thing. The Roberts Blutune50 DAB+ Bluetooth Radio has some useful extra features including an alarm function so it’s ideal for the bedroom.